Diagnostic hearing evaluations for all ages, gentle ear wax removal, hearing aid sales and service, tinnitus evaluations, musician & noise protection devices, educational seminars. 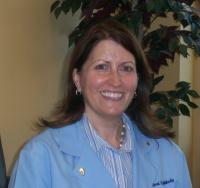 Professional expertise by Dr. Terri Lightbody, who is in her 24th year in practice. Her patient first philosophy drives the personalized patient care experience for those suffering from hearing loss.